Get the first whimsically witchy books in the Heidi Heckelbeck series, plus a link to download the fourth as a free ebook! Heidi Heckelbeck is the most charming witch around—and not just because she knows how to cast a spell. Join this sweet magic-maker as she starts a new school, makes a new friend, and uses her special talents! 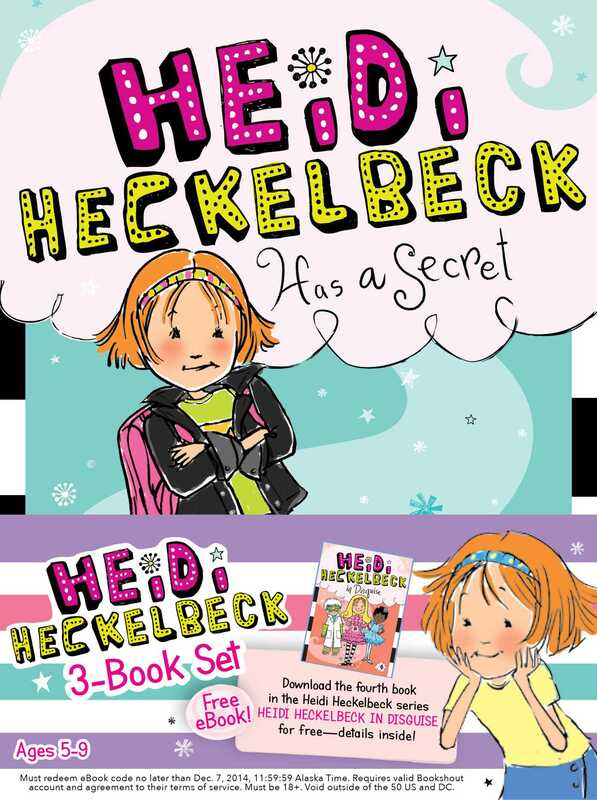 With easy-to-read language and illustrations on almost every page, Heidi Heckelbeck chapter books are perfect for beginning readers—and they make a great gift! This three-pack includes Heidi Heckelbeck Has a Secret, Heidi Heckelbeck Casts a Spell, and Heidi Heckelbeck and the Cookie Contest, plus a link to download a free ebook edition of Heidi Heckelbeck in Disguise.